Not too long ago, the fashion industry had immense power over the mass market, and decided on how they should look or act. Consumers aren’t so willing to conform to these ideals anymore; if they’re made to squeeze into a cookie-cutter, chances are, they’ll boycott the brand for something more inclusive. Further, people are increasingly concerned about sustainability. As more and more images of clogged oceans surface, many consumers want to be assured that the products they own and buy come from honest sources. Burberry seems to be going against the current, however—and it’s clearly not sitting well. Per The Times, the fashion house reportedly burned over £28 million (US$36.5 million) of clothing and cosmetics in the past year alone. Insiders revealed that the British label destroyed its products to “protect its brand,” such that its clothes wouldn’t end up being worn by the “wrong people,” and that its stock would not be resold at discounted prices. 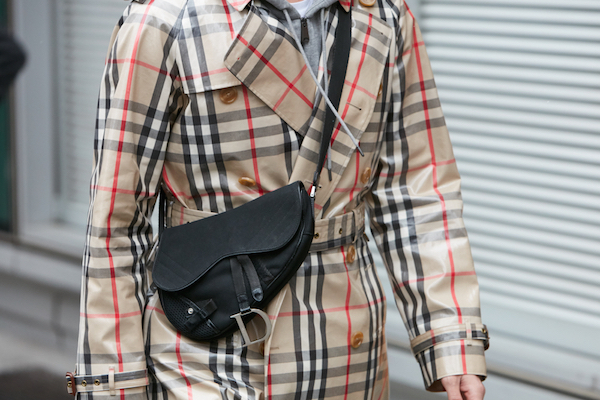 Ironically, the move is potentially hurting Burberry’s brand even more. Not only is it excluding customers, but many also feel it’s a total waste for wholly new products to be discarded, when they could have gone to better causes. “There’s something inherently wrong about torching a stack of gear, particularly when undertaken by the fashion line itself,” lamented independent journalist James Reinl. “Why couldn’t they just donate [the products] to the poor?” tweeted user ‘Guardian_Elite’. Others pointed out that while Burberry isn’t alone on this strategy and that the burning of goods is “a very common practice” in the fashion industry, there could be more responsible ways to dealing with leftover products. Check out some thought-provoking responses from Twitter below. I hate waste. Those items could have clothed so many that have nothing to wear or given to charities and burberry could have written it off their taxes. So many better solutions. I get that they don't want to donate designer clothing outright, but they certainly could have donated the clothes to charity silent auctions for worthwhile causes. Still would have gotten them in the hands of their target audience. Understandable in a business sense; a way to keep the brand exclusive. They should consider altering the identity of the goods so they can be donated w/o affecting exclusivity. Perhaps they should hire someone with experience to determine the optimum amount of inventory to produce each year—rather than engage in such wasteful practices! This has gone on forever and many companies do it so that the brand can keep it’s identity. While I understand that reasoning, it bothers me that there they haven’t figured out a way to repurpose the material. How is this the responsible option? The Top 6 Online Deals This Week: Immersion Hand Blender, Bath Bombs, Women’s and Kids’ Clothing, plus more! !